There are many reasons why you might want to connect to your Qlik Sense repository. For example, you may want to create a Qlik Sense application that lists all the applications and objects, along with current publication status. It is quite easy to connect as it is hosted, by default, in a PostgreSQL database. 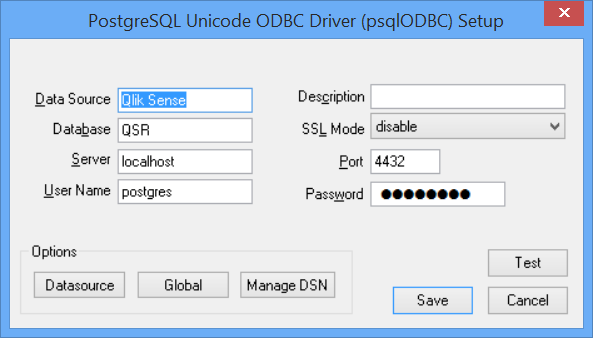 First thing that you will need is the download of the PostgreSQL ODBC drivers from: http://www.postgresql.org/ftp/odbc/versions/msi/ - there are both 32 bit and 64 bit versions available. Server - wherever the repository database is installed. Password - the password that you provided on installation. That should be good to go. Works very well for me. Thanks!